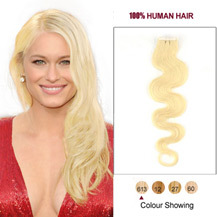 30 Inches Wavy Tape In Hair Extensions are attached quick and easy by pressing two adhesive, invisible gel strips towards each other with a part of your own hair in between. 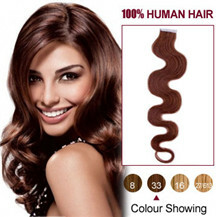 The extensions are completely invisible since they are lying flat down towards your head. 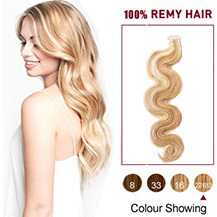 The 30 Inches Wavy Tape In Hair Extensions method, also called seamless or skin weft extensions, is new newest most innovative extension method on the market and is extremely popular. 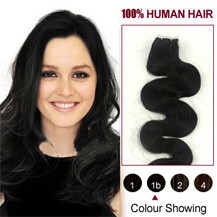 30 Inches Wavy Tape In Hair Extensions normally lasts 6 to 12 months,depending on care and use. They are also very easy to remove. 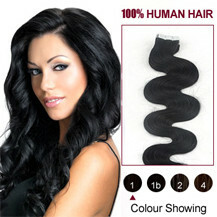 Markethairextension is the leader in clip and 30 Inches Wavy Tape In Hair Extensions! 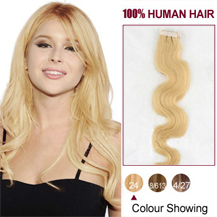 Our 30 Inches Wavy Tape In Hair Extensions are extremely flat and durable, conforms to the shape of the head, are comfortable to wear, and are the most natural hair extension method. No adhesive and no damage to your hair at all! 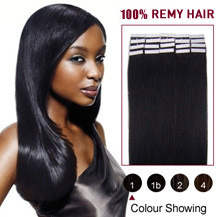 Gentle and fast, these extensions take less than an hour to apply. 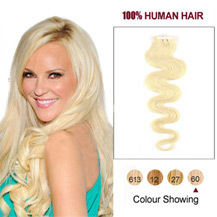 Our hair extensions are re-useable for up to 3 re-applications. 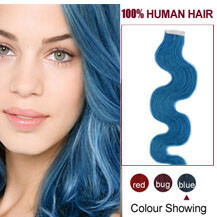 Our 30 Inches Wavy Tape In Hair Extensions are pre-taped so you don't have to do the work and are made of the highest quality 100% remy human hair. No additional adhesives on the scalp, no weaving, no braiding, no clips, no chemicals, or messy removal. Easy to apply and remove. 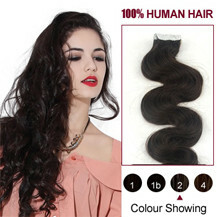 Our 30 Inches Wavy Tape In Hair Extensions can keep tidy for a long time when wearing, and no hair loss, no deformation, no frizz after washing, same as their original status. 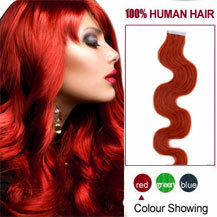 We have 30 colors available in straight and wavy in 10-30 inches. 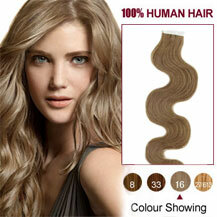 Custom orders available too including ombre and highlights. 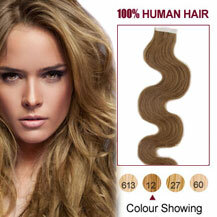 Add highlights without dying your hair with our seamless collection. 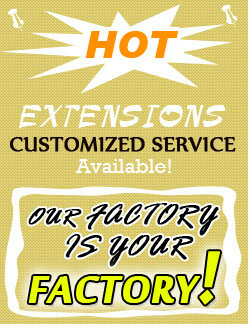 Market hair extension extensions are your solution to natural hair extensions.